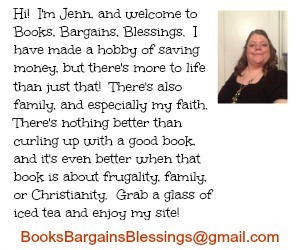 Books, Bargains, Blessings: It's time to get carded -- Christmas carded! It's time to get carded -- Christmas carded! Can you believe it's less than three months until Christmas? It's time to start thinking about your Christmas cards! Each year I try to do something a bit unique. The year I visited Israel I put a picture of myself in Bethlehem on my Christmas card (a picture of me at the Western Wall for my Hanukkah cards for my Jewish friends.) Over the years, I've enjoyed sending some unique Christmas cards. I've mentioned on my blog before that I love Tiny Prints. They have such a great selection of cards for everyone, and they have cards where you can personalize with your photo, or if you don't have a great photo, there are great cards to choose from: elegant, whimsical, or even a Dora the Explorer card! I like to send photo cards, so I spent time looking through their cards where you can add your own photos. Isn't that just fantastic for the pet lover? I have three guinea pigs and I could just picture their faces in there. 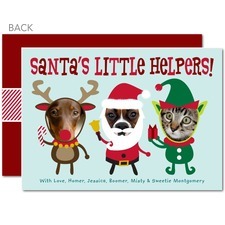 I'm sure Einstein, Fuzzy, and Baby Crockett would enjoy being on a Christmas card being called "Santa's Little Helpers". Or check out this "card". Isn't it absolutely precious? If I received this, I wouldn't be putting it in the holder where we keep all our cards, but it would actually be hung on the tree year after year! I have always loved Christmas cards. When I was little, my parents owned a business and we received so many cards. We had a desk/bookcase area in our living room and we taped our cards to the edges of the bookcase. By Christmas it was so festive in a 1970s sort of way. I loved the Christmas season because they would save all the Christmas cards for me to open since many had my name on them, too. I loved the feeling of mail. Even now many people feel the same way. I have friends who live in Russia, and they have told me one of the things they miss most about living in Russia is not getting Christmas cards. I know not as many people send them as they used to, but the bottom line is everyone loves mail. So this year, I'd encourage everyone to spread some cheer through the mail. Don't forget, the annual Christmas letter can also be replaced. If a photo speaks a thousand words, then this card is worth 8,000 words. You wouldn't have to say "Johnny graduated from high school, Suzy lost her first tooth, Rover is a new addition to the family, we visited Florida on vacation" -- show it with a collection of photos of the year's highlights! Really, Tiny Prints has so many more great cards than the ones I just showed. Take look for yourself http://www.tinyprints.com/shop/picture-christmas-cards.htm You're sure to find the perfect card for your family for 2011! FTC disclosure: I received 50 Christmas cards from Tiny Prints for writing this post. The opinions expressed are my own and in no way influenced my review.